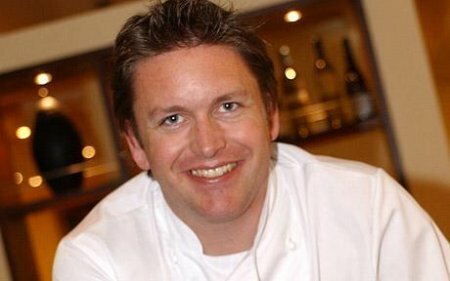 James Martin was born in Malton, North Yorkshire, England, June 30, 1972. Father James is engaged in supplying food to the castle Castle Howard. When James was 12 years old he could boast that he was preparing for the visit of the queen. James spent his childhood on a farm in Yorkshire helping his father with the delivery of products. At age 16, he went to Scarborough Technical College to begin his formal training. During the three years of his studies he was a student of the year. 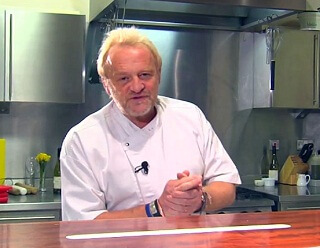 His work was noticed by Antony Worrall Thompson, who brought James to London. He worked in the kitchen 190 Queens gate, and later in "Dell'Ugo". Later, he left England and traveled to France to expand their knowledge and culinary skills in the kitchens of some ancient castles of old noble families of this country, sometimes working side by side with the mothers and grandmothers of the ancient noble families. Returning to England, he worked for 2 years in the restaurant «Chewton Glen». In 1994, at age 21, James has worked as a chef at a school in Winchester «Hotel and Bistro du Vin». The restaurant's menu it changes daily, and the success was such that the tables on the weekend ordered for 8 weeks in advance! His career in television began in November of 1996 with the show "Ready Steady Cook". From his first appearance on the screen, James Martin became a prominent figure on television and today it rarely disappears from the airwaves. Moreover, James has been a frequent guest of the program "Saturday Kitchen", which looked a record 2.1 million people. He made a lot of its own transmission channel Carlton Food Network: "Kids Eat the Funniest Things", "Fifty Ways To Feed Your Lover", "For Better For Worse" "Simply Fish", "Scouting About And Entertaining With James". In addition, together with Anthony Thompson Uorrelom he led the program "Use Your Loaf" and "Master And Servant". [сenter] [/center] In 1998, he and several chefs from the command "Ready, Set, fire away" staged a male striptease channel BBC1, collecting money for children's charities. 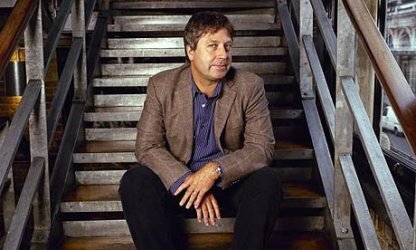 In October 1998, is published in his first book, "Eating With James Martin", and in the fall of 2000 in the light exits the second book of James - "The Deli Cookbook". 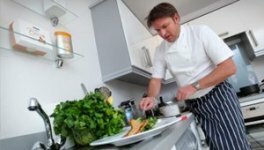 In January 2001, on BBC1 left channel James' "Kitchen Invaders"; 4 years James was preparing for the program "Housecall", a successful daily show on BBC1 channel, and also appeared in the "Good Food Live". The first season was broadcast joined his book "Delicious!". 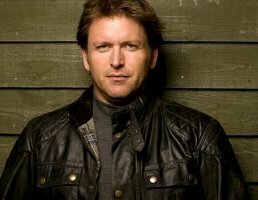 The second season was called ""James Martin Sweet». In 2003 was published the book "Great British Dinners". In 2003-2004, James led the two series of programs "Out Of The Frying Pan" on the channel Carlton TV. In the autumn of 2004 he became one of the leading several programs "Too Many Cooks" on channel ITV1. In 2004, he participated in the selection of the best British restaurant "fish and chips» (National Fish & Chip Shop). Also in 2004, he spent a few weeks in Yorkshire filming another series for UKTV programs, "Yorkshire's Finest): in which he bought and prepared with local ingredients. 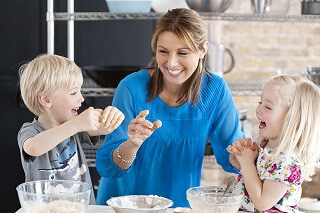 In June 2005, published the book "Easy British Food". In the same 2005, James filmed two series of programs "Castle In The Country" for VVS2 castles Glamis Castle and Castle Howard. 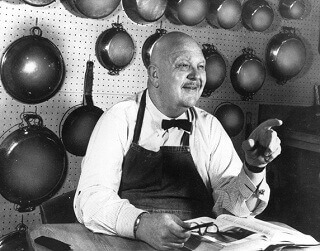 His last broadcast "Digs Deep" for the UK Food, dedicated to the cultivation and preparation of their own crops, was filmed in a private garden of James. In 2006 he published the book "Great British Winter". In August 2006, James reached the semifinals of the new program "Strictly Come Dancing", which greatly swelled the ranks of his admirers. The Book of James "The Great British Village Show Cookbook", was released in February 2007, along with a new series of programs on the channel BBC1. 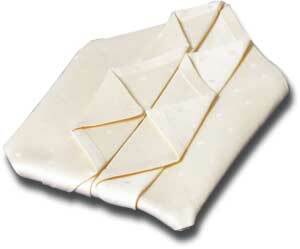 Similarly, with the release of the program coincided VVS2 desserts on the publication of his book "Desserts". 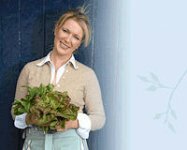 In 2008, the book was released, a collection of traditional British recipes, and in autumn 2009 was published the next book of James called "My Kitchen". 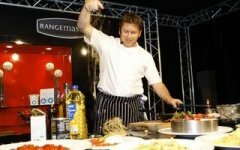 James has been a guest on many programs, including "The Heat Is On" on the channel UK Living, «Surprise Chef», "Junior Master Chef", "Food & Drink" on VVS2, "Light Lunch" on Channel 4, "The Vanessa Show", "Blue Peter", "Songs of Praise", "Weekend Watchdog", "Food For Thoughts", "BBC Breakfast News", Carlton Food Network Daily, "Superchefs" and "The Great Escape". In addition, he has appeared 45 times in the day program «Sky 1 to 3». 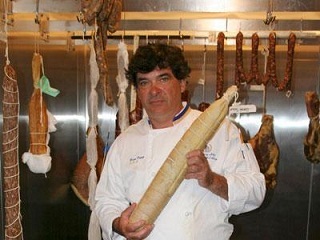 As a permanent chef James recorded a 70-episode program, "Why Weight?" For Channel 4. 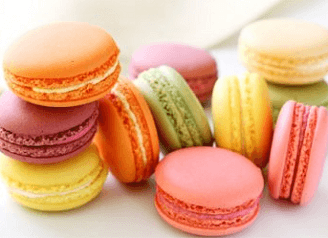 He led a column of recipes in the magazine «Ideal Home Magazine», collaborated with the magazines «Fresh», «Delicious» and «BBC Good Food» weekly and preparing materials for their own pages in the magazine «Garden Life». 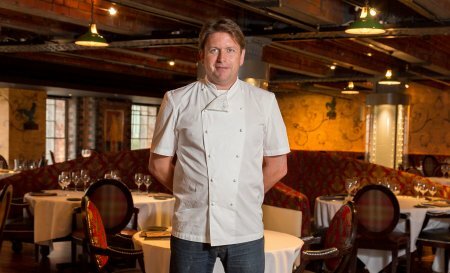 Each year, James Martin takes part in many culinary exhibitions throughout the UK, for example, in Derbyshire, Yorkshire Malvernskoy and exhibitions. James touts small electric kitchen appliances from the company «Wahl» and cookware from «Stellar», cooperating with «Underwood», deals with the design and manufacture of furniture. In addition, James is the owner of the restaurant and bistro on «Ocean Village 1" and 2 cruise ships, as well as co-owner of the company «Cadogan & James Delicatessens» in Winchester.